-- Select a Size/Color -- Small Medium - Out of Stock! Large - Out of Stock! 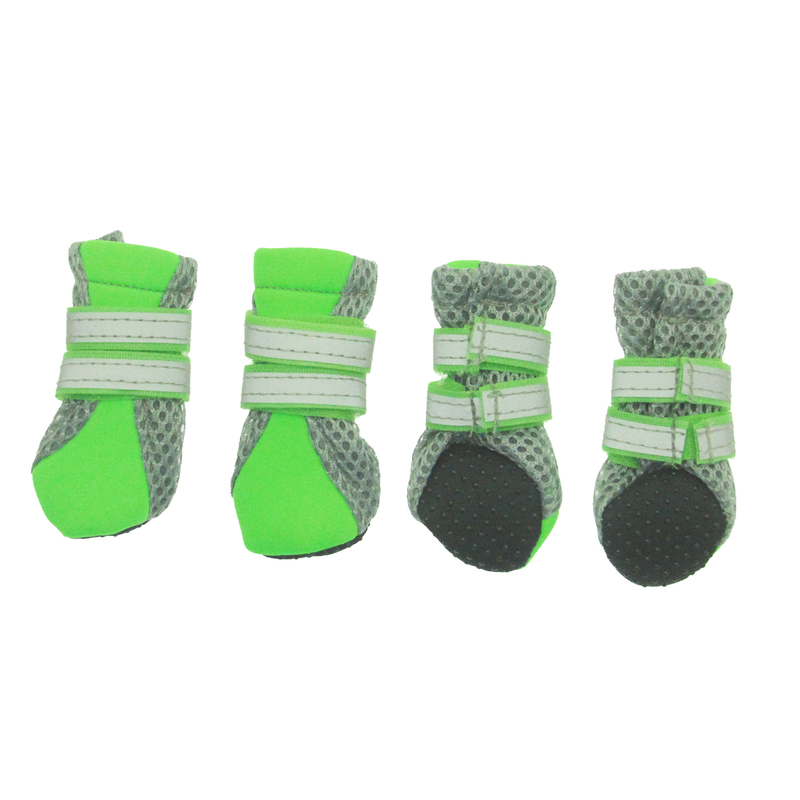 Punk out your dog with the Neon Neoprene Dog Boots in Green! Keep your little punky pup cozy this season and your floors safe from scratches! Polyester mesh sides will help your pet from getting over heated. Our soft neoprene dog boots are great around the house as they have non-skid soles and reflective touch fastener® wrap closures. ( Indoor use only) Made of 100% Polyester. Machine wash in cold water on gentle cycle. Line dry. While dog is standing, measure from the front edge of the small pads to the back edge of the large pad (do not include the nails). We recommend placing the foot on a piece of paper, marking the paper at the front and back of the foot, and then measuring between marks on the paper. Posted On 10/06/15 by Lisa Merriman from Vandalia, IL Yes, Lisa Merriman recommends this product! Great fit. Seems like a good product. Working well for my dog and it didn't take long at all before he was used to wearing them.